This month (Tuesday 26th September 7-9pm) we’re having a crafty one! 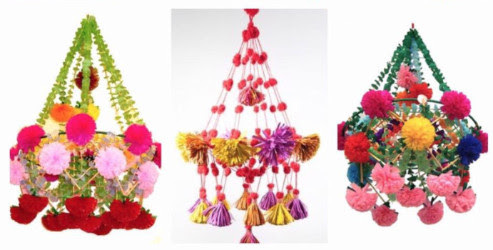 We’ll be making pajaki, a kind of pompom chandelier! All materials will be provided but do bring along bits if you have anything you’d particularly like to use and/or share. We’ll also be having POMegranate cocktails too (did you see what we did there…)! Everyone welcome! Hope to see you this evening!